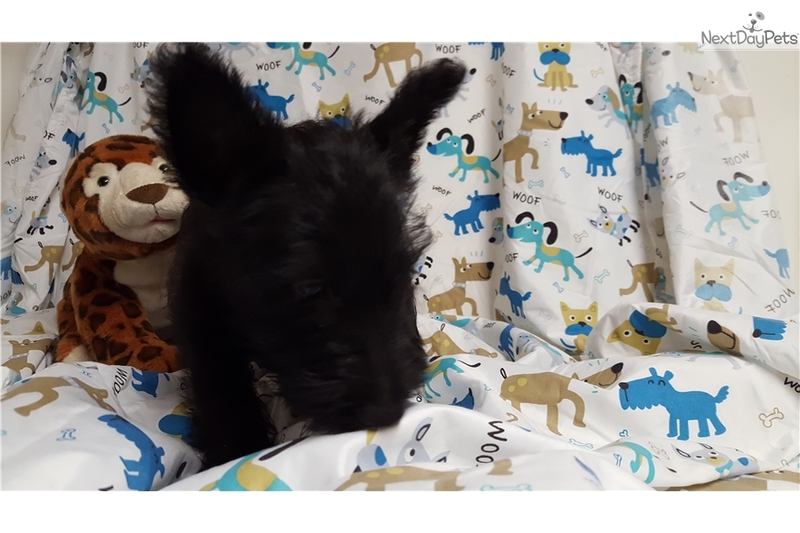 This Scottish Terrier nicknamed Penny sold and went to a new family. Socialization is a big deal in our house. All of our puppies are born and raised in our home. Where they are handled and played with daily, are exposed to all normal household sounds. They meet a wide variety of livestock, dogs and people. Except cats, we don't have cats. 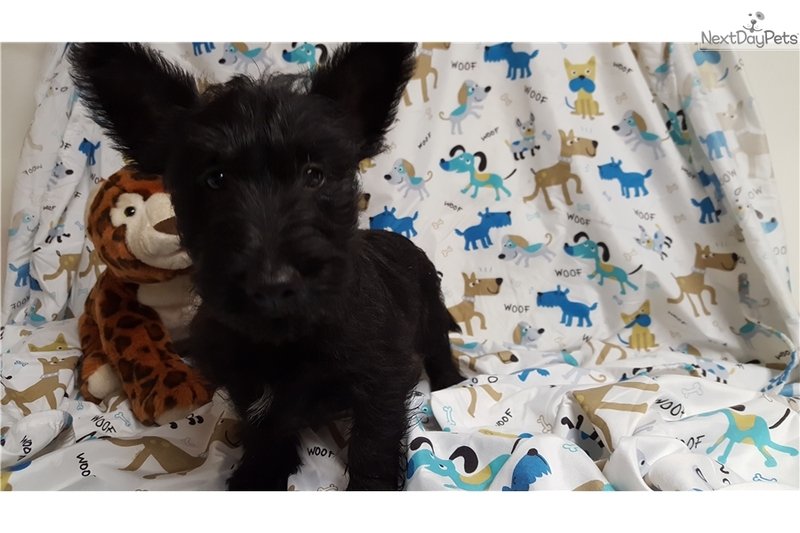 Our puppies and adult Scotties are on a strict deworming and vaccination schedule. This reduces parasites and illnesses. 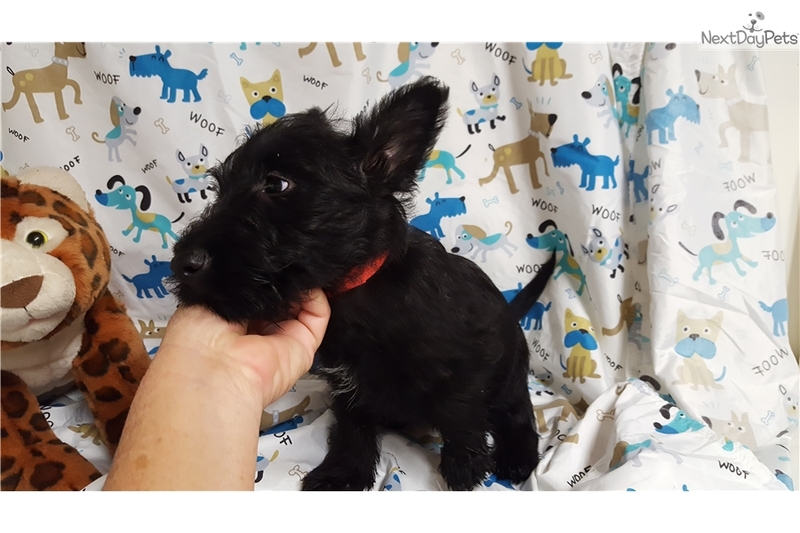 Our Scottie puppies are sold as hunting dogs. After all a terrier is an earth dog. Their first job was to go after small game, dig and force the game from their holes. I'm not saying that a Scottie is only a hunter. 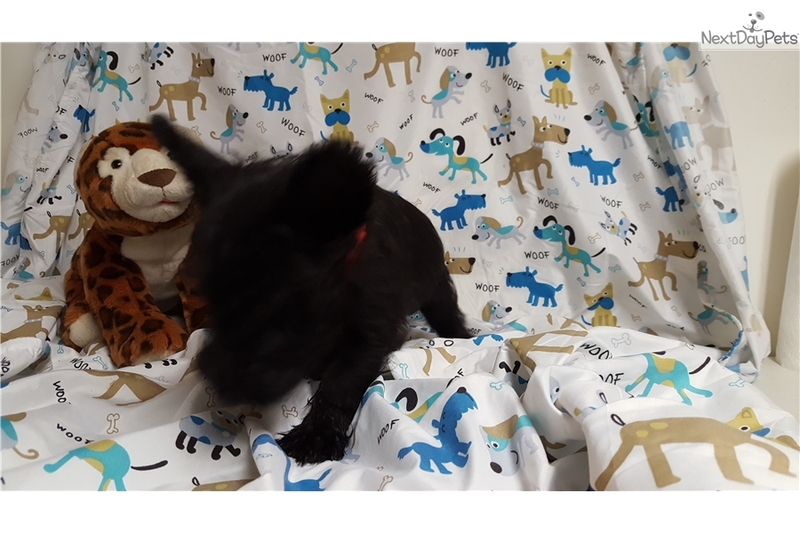 They make mighty fine pets and are very loving, good with children and when raised from a puppy, they get along just fine with cats, ferrets and other very small pets. Our puppies can be shipped by airplane to most major airports in the lower 48 states and Canada for an additional fee of $350usd. If you're not too far from me (Wister, OK in southeast OK) I don't mind meeting you partway. However I will not drive more than 5 hours from my home to meet you. And you're always welcome to come to my home if you like. My name is Norma Qualls, I am on face book. I also have a group that I just started on face book called Rock Creek Scotties. I keep nothing hidden, you are more than welcome to visit my pages, get to know me and what I do.